How about a little history on your hike? Hit the low-key Lime Kiln Trail near Granite Falls for a glimpse into the region’s short-lived Gold Rush past — and a nice Instagram shot of the eponymous kiln, originally used to heat limestone. Once you’ve had your fill of hiking and history, fill up on hoppy IPAs at Skookum Brewery, where you can watch the brewers at work. 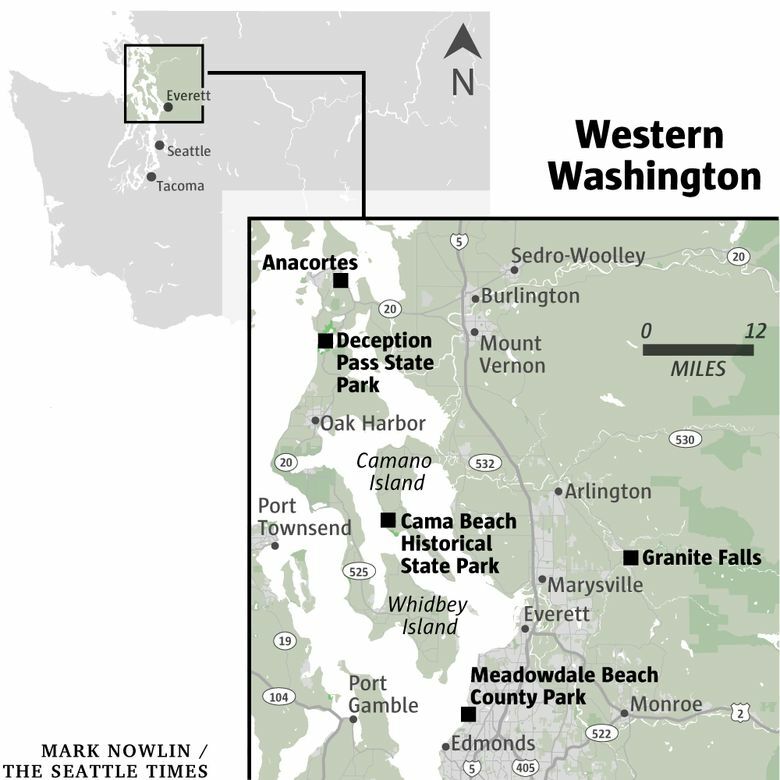 A peaceful escape only 30 minutes from Seattle, Snohomish County’s Meadowdale Beach County Park offers two miles of forested quiet for a quick escape when you need to get away — and don’t want to sacrifice views — but don’t have time for a full-fledged hike. This stroll ends at a small beach looking out onto Puget Sound and the Olympics. And if that doesn’t do the trick, there’s always a $6 beer at nearby nautical-themed Salish Sea Brewing Co. for a different kind of escape. 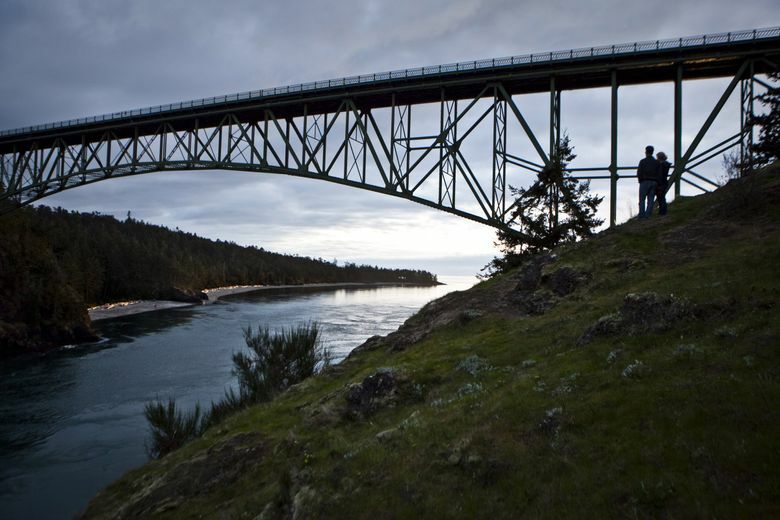 Hit Deception Pass State Park for sweeping views of the San Juan Islands and Oak Harbor. On the way home, take a refreshing break from the Pacific Northwest’s IPA mania with a couple German-style lagers at Chuckanut Brewery’s South Nut. Skip Camano Island’s popular beach hikes and head to the Cranberry Lake Trail, where you’ll enjoy an easy, peaceful walk to a beaver pond full of wildlife. Afterward, indulge in the less wild side of life on the patio at Naked City Brewery. The company’s popular Easy Island Blonde Ale makes for a perfect post-hike refresh. 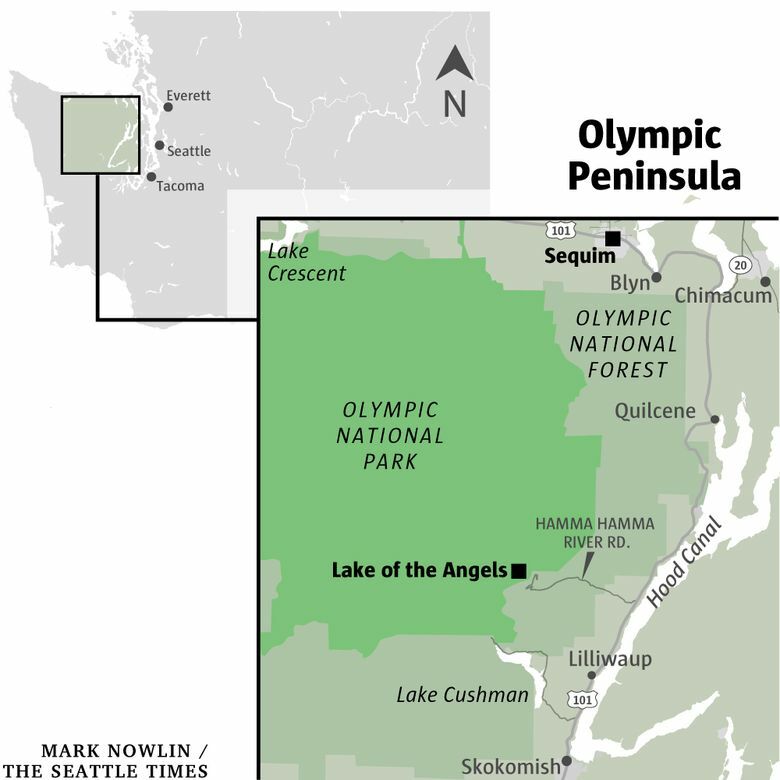 Start along Heart Lake’s edge, then journey through the beautiful Anacortes Community Forest Lands, eventually hitting a steeper incline up to Sugarloaf Peak for views of Skagit Bay. After a spell of solitude, head back into town for a summer concert and a cool pint at Bastion Brewing Co. This one ain’t easy. At only 3.5 miles, the trek to Lake of the Angels might seem short, but you gain 3,400 feet along the way. The mostly uphill hike makes for a weekend challenge, but it’s worth it for clear-day views of the Olympics. After putting in all that work, treat yourself to the generous portions and wide beer selection at Three Magnets Brewing Pubhouse. Hiking on sand can be a challenge, but if you take your time and find a good pace, you’ll enjoy the beach hike to breathtaking views and a story-filled tour at the New Dungeness Lighthouse. Make sure to check tide tables and weather before you go, since strong winds and high tides can make this peaceful hike treacherous. Afterward, swing by the Finnriver Farm and Cidery for a taste of country living and locally-sourced ciders. On the flat and easy Ancient Lakes Trail, check out landscapes formed thousands of years ago by floods. Then relax at your choice of three lakes, or hike a little farther for a waterfall view. After a long stroll in the sun — don’t forget sunscreen if you need it — grab a bite and an Irish Death dark ale at the The Pub at Iron Horse Brewery. 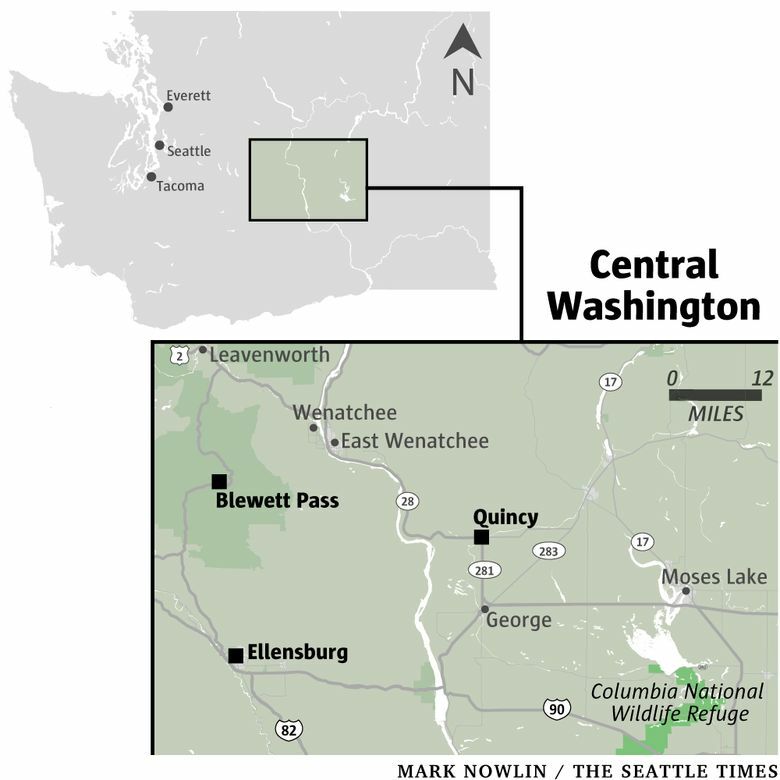 The Umtanum Ridge Crest trail has a lot to offer — rolling fields of wildflowers, gorgeous views of Mount Rainier and Mount Stuart — but it’ll make you work for it. After sweating out some of that winter weariness, soothe your sore legs at Bale Breaker Brewing Company’s outdoor patio. Play lawn games or just sit back and enjoy some hoppy brews sourced from the Yakima Valley, which produces about three-quarters of the country’s hop harvest. Get in a late-season snowshoe trip at Blewett Pass while you still can. On the way home, take the scenic route with a stop for pie and pints at Blewett Brewing, where you can BYOG (bring your own growler) or take home a customized six-pack of 32-oz. cans of house brews (they call it a “crowler”).